We can certainly help you with Life Insurance Approval with Angina! Finding an affordable life insurance policy with Angina can be quite a challenge. Can I Qualify for Life Insurance if I have Angina? Yes, most individuals with Angina will be able to qualify for traditional life insurance, the type of insurance which requires a medical exam. Severe Case – Angina being a deceitful condition can be an extreme case of a best case scenario to a severe case of chest pain. In cases where individuals are 40 years old and below or presents unstable symptoms of chest pain will automatically get a decline. You may have difficulty qualifying for traditional coverage, but could be eligible for a graded death benefit policy. 1. What is your age on your last birthday? The age alone can determine whether you will qualify or not because individuals who are 40 years old and above and presents angina are automatically declined. 2. Have you experienced any chest pain within the last six months and how often? Frequent symptoms of chest pain with no definite trigger factors or time of attack may be a sign of an unstable Angina and may get a decline. 3. Do you take medication? The need for medications for Angina can both be used as an advantage or disadvantage depending on its regularity of use and since when was the medication started. Regular or maintenance medications for Angina for the last 2 years may be considered a good sign of a stable condition and may get a “Mild Substandard” rating, provided of course that you are 40 and above. 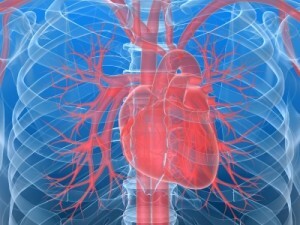 Medications, however, that are given very recently may be viewed as a sign of an unstable Angina and may get a decline. 4. Do you have regular check-ups with your cardiologist? Regular visits to your doctor mean that your condition is controlled and managed well by your physician, which good sign of compliance. 5. Have you had any relevant ECG tests in the past 6 months? ECG tests done within the last 6 months plus a most recent one will give a comparison whether your condition has changed within the last 6 months. If there are no changes seen this may be considered a stable case of Angina. 6. Do you have any of the following risk factors? Risk factors for chest pain include diabetes, cigarette smoking, high blood pressure, high cholesterol, family history of heart disease and a sedentary lifestyle. This is very important to determine because if one of the following is present it may contribute to an association with unstable angina and trigger serious complications in the future. Insurance companies may decline coverage for these cases. If you don’t seem to fit into one of the ratings above, I recommend requesting life insurance quotes from “Standard” to “Mild Standard” so you understand the range of possibilities. Angina, also known as Angina Pectoris is a condition that presents itself as chest pain. The chest pain is the result of sudden lack of Oxygen due to a blockage of the blood vessels or spasm of the heart muscles. Signs of Angina include chest discomfort that are describes as tightness, presence of pressure, heaviness, squeezing, choking or burning sensation. There may also be referred pain in the abdomen, back, neck, shoulders or jaw area.